The Trail Making Test is a popular diagnostic tool to assess general intelligence and cognitive dysfunctions (Tambaugh, 2004, Cavaco et al, 2013).  In part A of the TMT, subjects are asked to connect a cluster of numbers in ascending order. This task is a combination of visual search and general visual and motor processing speed. Part B is presents a sequence which alternates between numbers and letters. Subjects must actively switch between both categories when connecting them in ascending, but alternating order. Hence, this task is considered to include an executive function component since the subject must actively switch between categories while connecting the symbols (MacPherson et al., 2017). The original paper test has only one version which limits its use for repeated measurement designs. This limitation can be overcome with computer-based test versions generating random clusters or digits and letters similar to the original test version (Zeng et al., 2017). This implementation of the TMT can be highly configured in terms of the characteristics of the random arrangements of ascending numbers and letters. The original layouts of the paper version are also available. During test execution, all clicks of subjects are captured allowing a detailed analysis of different error types. The Trail Making Task can also be run in block mode, where subjects should complete as many as possible trails within a given time period. This gives you a much more robust measurement of performance differences between part A and B conditions. Cavaco, S., Goncalves, A., Pinto, C., Almeida, E., Gomes, F., Moreira, I. , Fernandes, J., Teixeira-Pinto, A.(2013). Trail Making Test: Regression-based Norms for the Portuguese Population. Archives of Clinical Neuropsychology 28 (2013) 189–198. Kopp, B., Rösser, N., Tabeling, S., Stürenburg, H.-J., de Haan, Bianca, Karnath, H.-O., Wessel, K. (2015). Errors on the Trail Making Test Are Associated with Right Hemispheric Frontal Lobe Damage in Stroke Patients. Behavioural Neurology Volume 2015. MacPherson, S.E., Cox, S.R., Dickie, D.A., Karama, S., Starr, J.M., Evans, A.C., Bastin, M.E., Wardlaw, J.M., Deary, I.J. (2017). Cortex, Volume 95, October 2017, Pages 92-103. Salthouse, T.A. (2011). What cognitive abilities are involved in trail-making performance?. Intelligence. 2011, 39(4): 222–232. Zhiwei Zeng, Chunyan Miao, Cyril Leung, Zhiqi Shen, (2017) “Computerizing Trail Making Test for long-term cognitive self-assessment”, International Journal of Crowd Science, Vol. 1 Issue: 1, pp.83-99.